What's that big ugly metal thing at the ceiling in the hallway? Those are the louvers for a whole house fan. While they're not common in Minnesota, I see a few of them every year while doing home inspections. A traditional whole house fan basically consists of a huge, noisy, scary looking fan installed at the ceiling in the hallway of the uppermost level of a home. When a whole-house fan runs, it pulls air out of the house and directs it into the attic space, and from there, the air gets exhausted through the attic vents. The opening at the ceiling is covered with metal louvers that get sucked open when the fan turns on; that's what you're seeing in the photos above and below. The ideal time to use a whole house fan is in the evening after a hot day, when the outdoor temperature is lower than the indoor temperature. As long as all of the windows are opened, the whole house fan will pull cool air into the house, and flush out hotter air in the attic. Not only does this cool the house down quite quickly, but it provides a ton a fresh air into the home, and costs much less to operate than an air conditioner. It's no wonder people love these. The video clip below shows an old super-powerful window fan, which was essentially a whole-house fan installed at a window. As I pushed the office door shut, the air rushing into the room kept pushing the door back open. That's some serious air movement. Whole house fans are great, but there are a few important things to know if you own one. The windows need to be opened before using a whole-house fan. If you've read some of my blog posts about makeup air, combustion air, backdrafting water heaters, or you intuitively understand that all of that air leaving turns the house into a big vacuum, you're probably wondering what will happen when the atmospherically vented water heater fires up... or maybe you already know. It's going to backdraft like crazy, of course. Instead of the exhaust gases rises up the vent through gravity, the whole house fan is going to pull the exhaust gases back into the home, which is a hazard. To help prevent this from happening, it's important to open most or all of the windows in the house, as well as the interior doors between hallways and rooms. Not only will this help prevent the water heater from backdrafting, but it also gives the fan all of the air it needs, providing better fresh air circulation throughout the house. Whole-house fans can be a major source of energy loss during the winter. 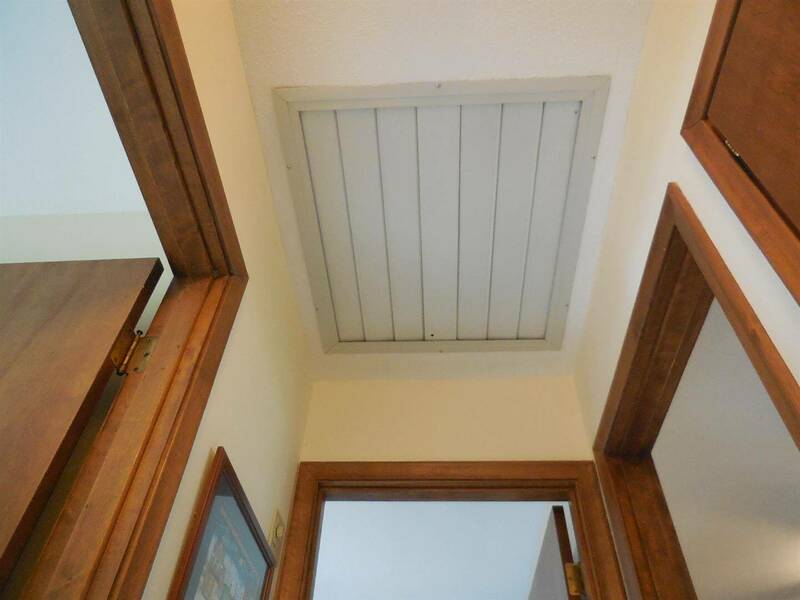 Without a doubt, one of the worst sources of air leakage into the attic space is an opening for a whole-house fan. This leads to heat loss, cold air dumping into the hallway, ice dams, and frost in the attic. To help prevent air leakage at this location, it's a good idea to seal off the opening at the ceiling with a window insulating kit every fall. The two ways to insulate around this opening are from the attic or the ceiling. If this opening is insulated from the ceiling, there will be a big ugly chunk of insulation boxed in at the ceiling in the hallway. If the opening is insulated from the attic side, it will need to consist of a custom insulated box that covers the fan without any gaps. I remember inspecting a home in Saint Paul that had a perfect insulated box for the whole-house fan, which the owner had spent many weekends perfecting. 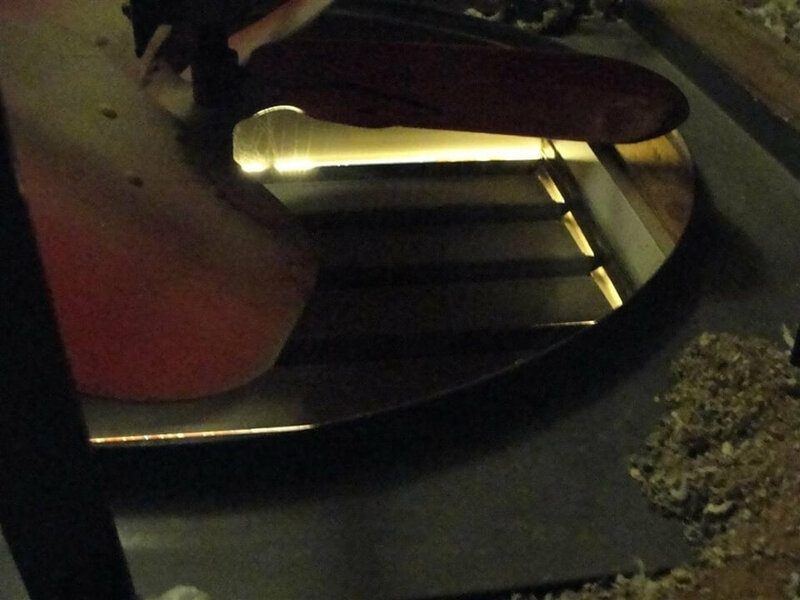 Don't bother throwing a few fiberglass batts over the fan; that will be just about useless, and if someone accidentally turns the fan on while the insulation is blocking the blades, you'll have a mess. To lower the potential for someone accidentally operating the fan during the winter, it's a good idea to shut off power to the fan at the circuit breaker. If you love the idea of a whole house fan and you'd like to install one in your own home, take a look at some of the newer ones available and read more about them at www.wholehousefan.com . Newer ones are smaller, quieter, non-threatening, and come with self-closing dampers to help reduce air leakage and energy loss. They look pretty sweet, and every homeowner I've ever talked to that had a whole-house fan absolutely loved it.